Sometimes it is good to try something different. This post focuses on the Serpentine Pavilion from 2015 by Selgascano where I got to try out some ideas and approaches to architectural photography that I hoped would show the key aspects of the project from a different perspective. 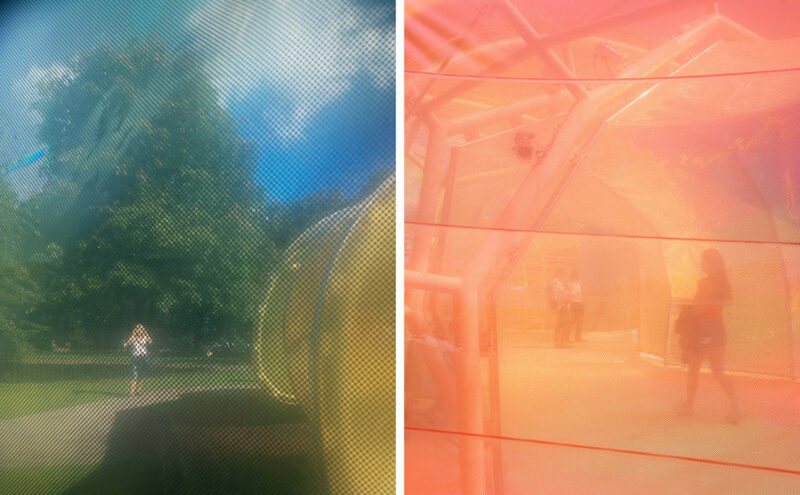 I liked this Serpentine Pavilion, I thought it was in the spirit of the project (it is after all a temporary structure). It was playful, experimental, immersive & joyful; it was also full of colour. It is so nice to see some colour in architecture (all too rare in London) and some materials that reacted to the sun and brought the sunlight inside – making it a part of the building. The heat came in too, wow it was hot in there, but from what I saw people really interacted with and enjoyed the building. Kids absolutely loved it, literally jumping for joy when they went in and it is rare for architecture to cause this reaction. It was a reaction caused largely by the use of colour and light. 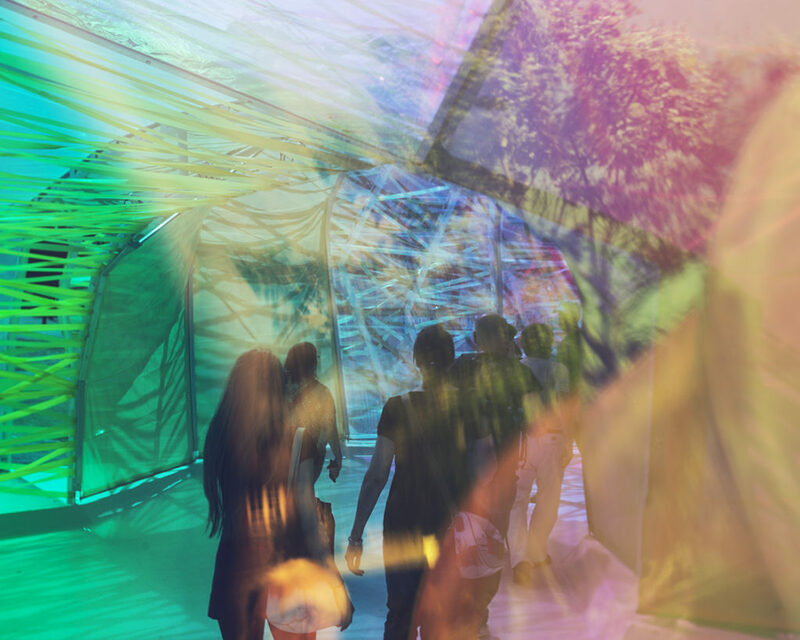 Sunlight passing through coloured dichroic film is projected onto the white floor – the movements of the sun are tracked across the pavilion floor during day creating layers of shadows, colour, material and light – an immersive experience. 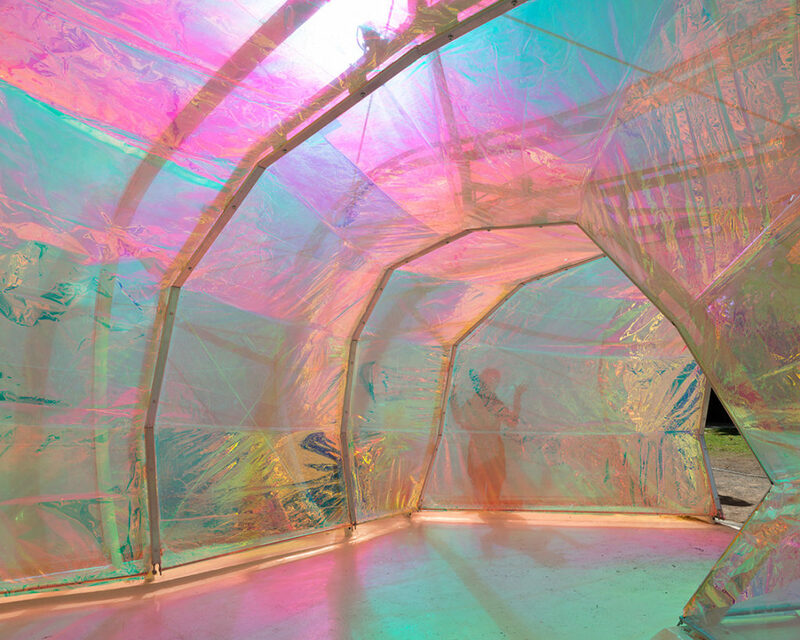 Large areas of the pavilion’s skin were made out of coloured dichroic film. As well as allowing coloured light to come in this material could be looked through, creating coloured views of the interior space. 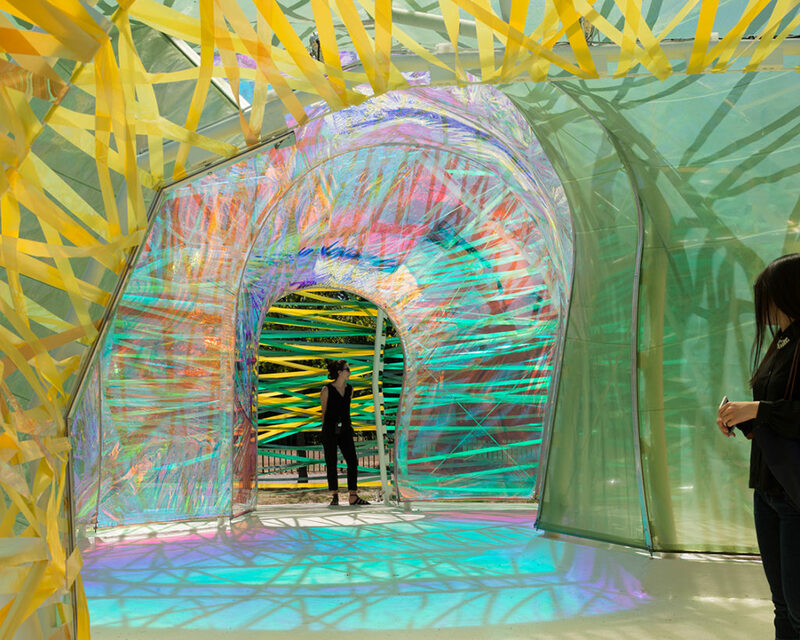 Selgascano work using simple everyday materials (as found) often in an experimental fashion, here a combination of dichroic film, coloured ribbons and ETFE are stretched across a steel structure to create a series of interconnected organic ‘pods’. In experiential terms the architects explain“The spatial qualities of the Pavilion only unfold when accessing the structure and being immersed within it.” So the next step was to take a similar approach to the photographs as well. 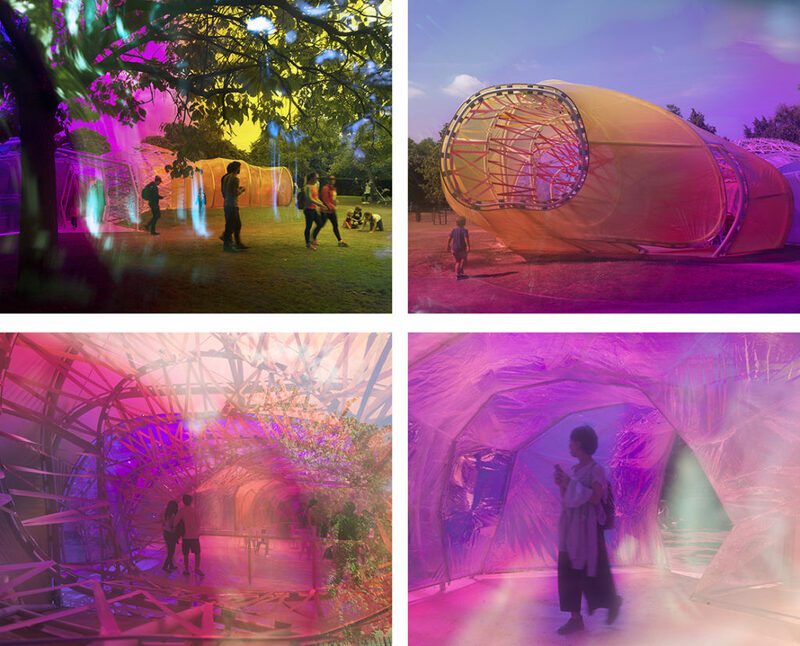 By trying to be playful, experimental, immersive and joyful, I have also tried to create the feeling of “being immersed within” the pavilion. 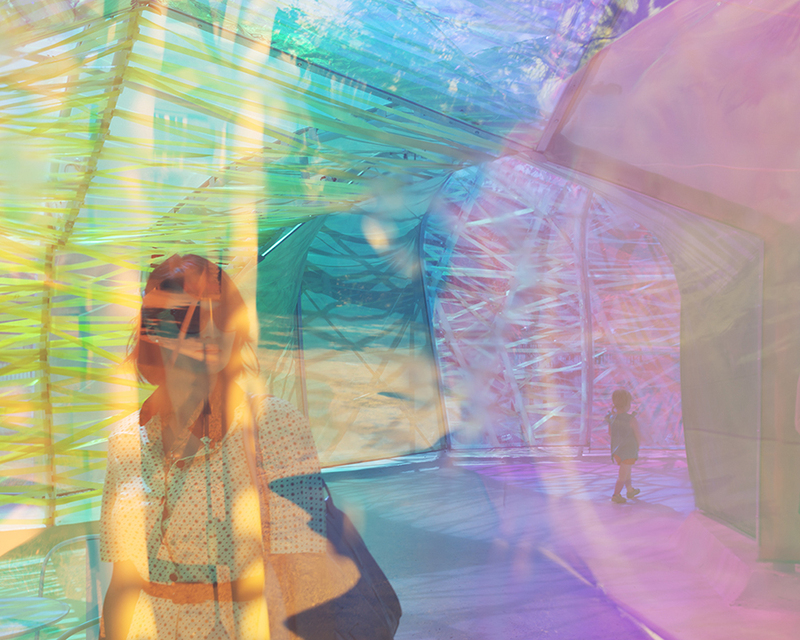 As well as using views directly through the pavilion’s various skins I also made a series of views through filters that I constructed out of the same dichroic film that was used to cover the structure. By using a combination of filtration and reflection in front of the camera I was able to play with the ideas of layering and immersion within the photographic process. As the Serpentine says: The architects’ inspiration not only came from the site itself, but from the ways in which people move through London, notably the Underground with its many-layered, chaotic yet structured flow. By using reflections and views through materials I played with these ideas of layering and flow. There is also a short video that plays with this idea further. I wanted to respond directly to the project in a way that I felt was in keeping with its spirit. The images may or may not be judged ‘successful’ in terms of illustrating the concept, but the point was to be experimental and not be so concerned with the outcome. Afterall, what other project is going to allow me to do this?